No sales-people, just PPC experts. Paid Search, Social, Shopping and much more. We combine best in class experts, our Best Practice Methodology & Custom Tech to deliver exceptional performance for our clients. We’ve built up a powerful tech stack that helps us achieve incredible results at scale. From weather-based bidding to 24/7 monitoring. If the right tool for the job doesn’t already exist, we’ll build it. Technology is only as good as its makers (our Biddable experts). We invest heavily in both professional development and agency culture. It’s what helps us hire, train and retain the best in the business. Katté & Co are that incredibly rare thing: a team who combine the care and attention of a small agency, with the expertise and results you demand of a large one. Our portfolio businesses and I have worked with a wide range of agencies, and Katté are one of the few I never hesitate in recommending. I have worked with Katté & Co for approx 2 years and the decision to hire them is one of the best of my career. Katté bring an honesty and clarity to our PPC and paid social campaigns that I haven’t experienced with any other agency. Their reporting is simple, informative and clear and their collaborative nature ensures that we get the best out of our budgets on an ongoing basis. I can’t recommend them highly enough! Amazing agency, highly recommend for your PPC needs. They reduced our CPA by 40% in just 6 weeks. 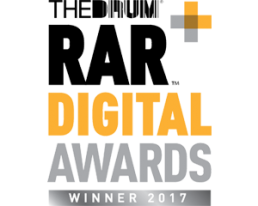 They get on with work, reporting is fantastic, highly data driven (as you would expect) and take the time to really understand your business. Plus the people are great too. I started working with Katté & Co about a year ago and they have been a fantastic agency to work with; great communicators, deliver on the objectives promised and when things didn’t go as expected, agile enough to move quickly to change to find a working solution. I highly recommend them. We have always found Katté & Co to provide personal support remaining close to our business. It’s a pleasure to work with the people that actively support your account rather than a small cog in an automated world. The results have been (and continue to be) outstanding. I have no hesitation in recommending them. 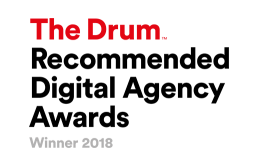 No-nonsense agency with talented staff that understand our account in-depth and will actively seek new strategies to assist with hitting our objectives. 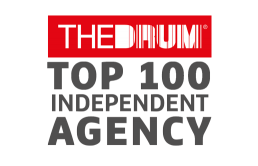 Katté & Co named in the Top 100 Independent Agencies.